Rabat - Leila Mezian Benjelloun, chairwoman of the BMCE Bank Foundation and wife of Morocco’s richest businessman, is preparing to launch a museum of arts and traditions. Rabat – Leila Mezian Benjelloun, chairwoman of the BMCE Bank Foundation and wife of Morocco’s richest businessman, is preparing to launch a museum of arts and traditions. 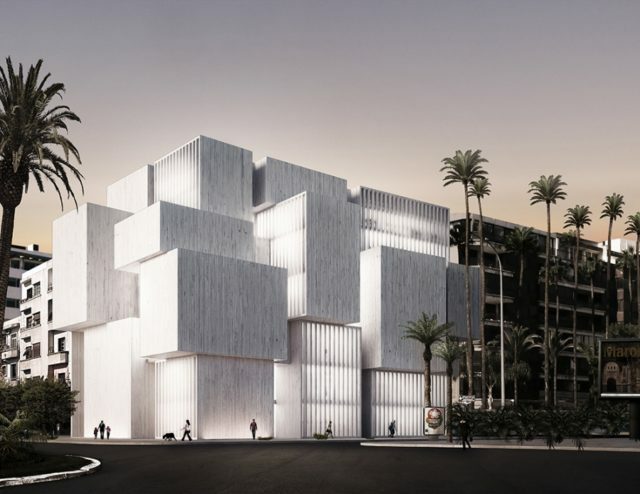 Leila Mezian Benjelloun is set to beging construction on the Museum of Arts and Traditions of Morocco (MATM) in the coming months in Morocco’s economic capitol of Casablanca. An investment of MAD 79 million will be allocated to this new project which will cover an area of 1200 sq. km at the crossing of Moulay Youssef Boulevard and Roudani Boulevard and will reach to a height of 26 metres. According to French-language news source, Telquel, the museum will showcase traditional Moroccan art such as Jewelry, rugs and paintings and will itself be “an architectural jewel,” as described by website sources. Moroccan architect and son of a former Economy and Finances Minister, Tarik Oualalou, will be responsible for the construction of the museum. The architect will receive 5 percent of the construction budget as payment, which translates into MAD 4.7 million. This same architect is currently working on the Taghazout seaside resort, near the southern city of Agadir. In addition to the expected exhibition spaces, the same source goes on to say that the edifice will contain additional facilities including offices and bookstores. The construction of this museum, which gets its inspiration from the Mohammed VI Museum of Modern and Contemporary Art, is expected to be completed sometime in 2018.